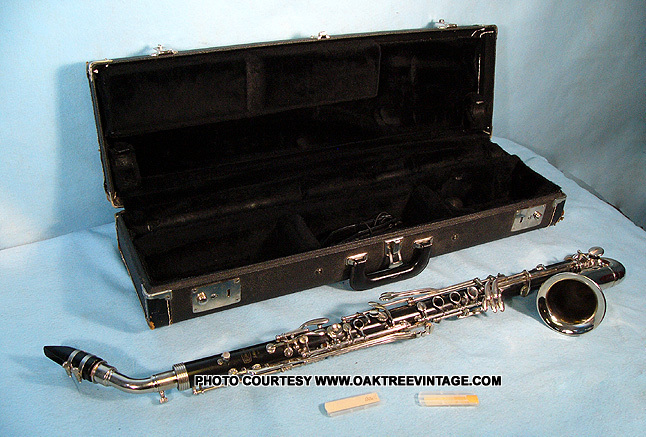 Resonite body, Bundy Alto Clarinet, from about the mid-late 1970's. 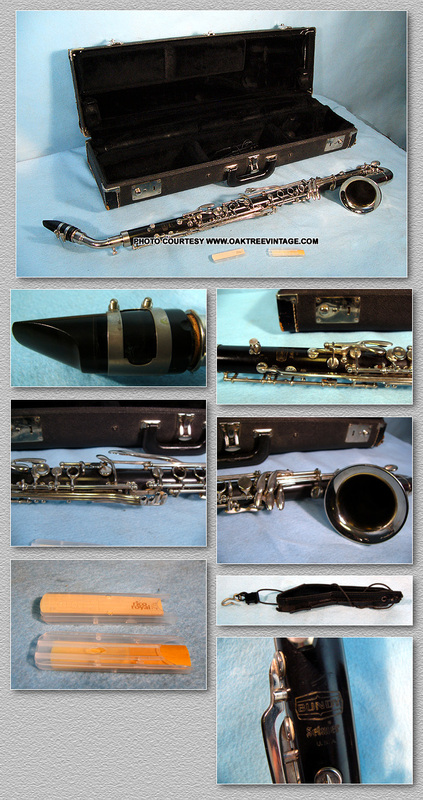 Recently repaired / restored by a reputable band instrument repair facility. Great playing wood wind instrument. Great condition Bundy, Alto Clarinet. Perfect for school, college or community orchestra use. Also would make a good "home practice" horn, if you need to leave your school instrument at school. Resonite body. Just freshly serviced and feels like "new". 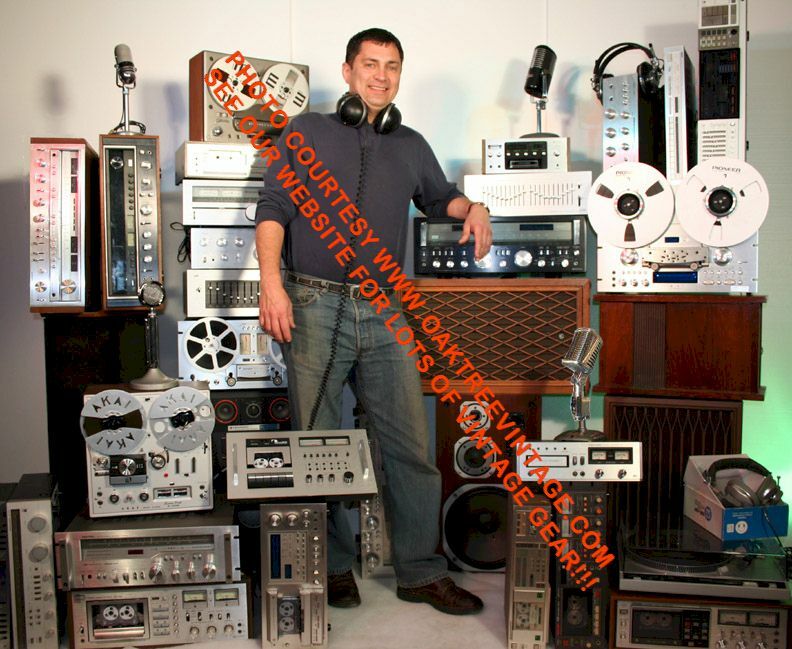 All of this was done by a local band instrument repair / restore store that has been in business here in Colorado Springs for the past 30+ years. Horn looks, plays and sounds great. All keys adjusted, all pads & key corks checked and replaced where necessary, all springs adjusted as well as all key heights. Case good and serviceable. All hinges and latches work fine and interior in great shape as well. Comes with "Geo M. Bundy", #4, hard rubber mouthpiece in good shape as well.